Ortega Park is an enjoyable place for you and your friends or family to hang out and have fun. There are many things that you can do here at this park. When you hear the word park, you think of just a broken down old park. Though Ortega Park is the complete opposite. It's lively and most of the time full of people. That's when you know it's fun here. This isn't just sand and swings; there are basketball, volleyball, and tennis courts. There is also a baseball field too. 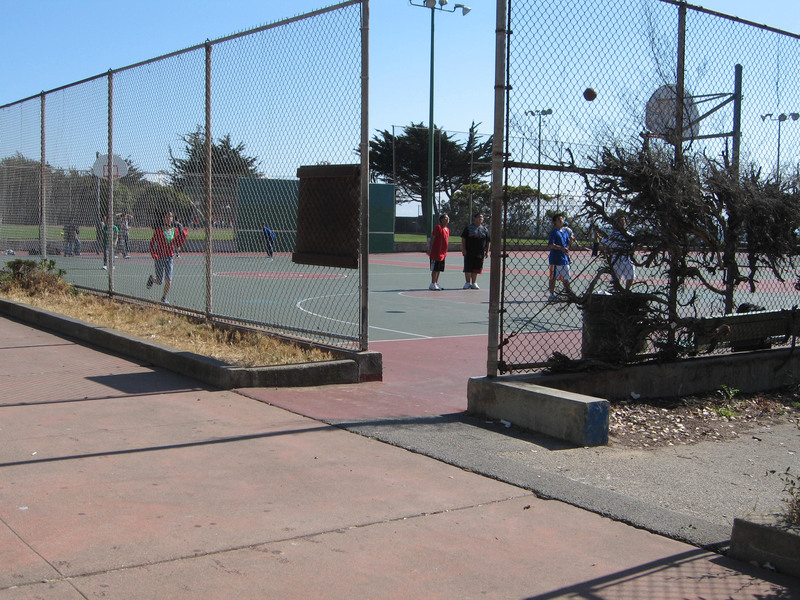 Having these areas around the park is good for you if you want to practice any kind of sports. If you get tired of playing sports, you can always go to the sandy area where you can swing on the swings or slide down the slides. The park has many things there. It has swings for older kids and toddlers. They have slides that are wide, long, or short. Monkey bars there are fun. They have circle ones that you can swing on and they have regular kinds. There is a sand box there for kids to build sand castles or do whatever they want to do with the sand. They have a tiny balance beam there too. There are different sections in the park for toodlers and older kids. There is also open space around the park where you can ride your bike, skate, skateboard, play four square, or even jumprope. This is a good location too because if you just want to go to this park to relax and you want something to do you can go to the library which is a few step away. 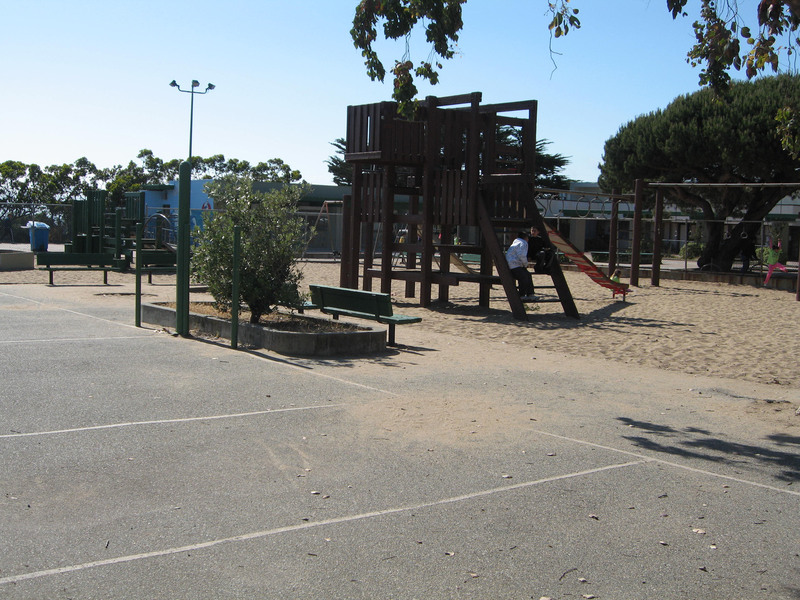 This park is between two schools, A.P Giannini Middle School and Sunset Elementary School. It is on Ortega and 39th. "It's lively and most of the time full of people. That's when you know it's fun here."